Mass transit is considered safer than driving. Quite simply, you’re far more likely to be in a car accident in Hollywood than to be in a mass transit accident in your community. 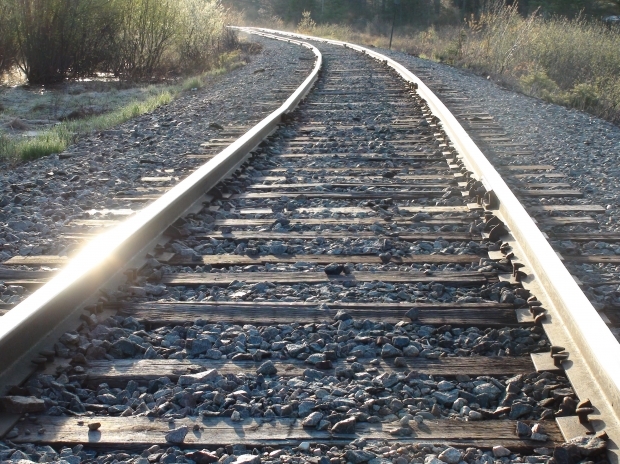 Whether you’re traveling by train, bus, taxi, or some other means of transport, you’ll want to stay safe. School bus accidents in Homestead and Florida are thankfully not very common. School bus drivers are trained to transport children safely and passenger car drivers are taught to slow down and stop when children are entering or disembarking a bus. While car accident collisions are far more common, however, this does not mean that school buses are completely safe. Unfortunately, some negligent drivers illegally drive around school buses that are stopped, putting children at risk. 1) Teach your child to look both ways when getting off a bus. While children may simply rush into moving traffic, expecting it to be stopped, there may be drivers who ignore the rules. Teach your child to look for traffic before proceeding. This is a good skill that will help them when they walk to school, too. Could Reconsidering Bus Driver Discipline Reduce Bus Accidents in Broward County? Broward County auditor Evan Lukic will be reviewing the local process for bus driver discipline, specifically looking at the process of dealing with drivers who have a history of accidents. The review is taking place after a settlement in the legal case involving a local bus driver. That bus driver, Charles Butler, had been in 21 accidents before his latest legal battle, according to a local newspaper, and 12 of those collisions were deemed preventable. Under Broward County policies, bus drivers who have five preventable accidents in a two year term face losing their jobs. Butler had five preventable bus accidents within a two year term back in 2007 but continued to work – and continued to get into accidents. The settlement in his latest lawsuit cost $73,005 for the county. That lawsuit came about after Butler allegedly was allegedly involved in a truck accident in Miramar in 2009. In that bus accident in Miramar, Butler allegedly struck a city vehicle and the passenger in the truck required knee surgery. Both the driver and the passenger in the Miramar vehicle were not wearing seatbelts. According to Butler, he had to make a sudden stop after the truck was cut off by another car. He says that the tail lights on the truck were not working and his bus’s bike rack hit the truck. During his ten years as a bus driver for the county, Butler has ten rear-end accidents in Miramar and other communities. After the 2009 crash he served a three day suspension. Are Changes About to Be Made? The county auditor is now reportedly looking to see what should be done with bus drivers who have poor records. The auditor will also be examining the process for evaluating and disciplining bus drivers who get into repeated accidents. It has not yet been reported when the results of the review may be made available. The review will hopefully help Broward County prevent crashes caused by employees with poor driving records. There are already rules in place intended to remove drivers from city buses in situations where drivers have multiple preventable accidents. In some cases, however, these laws do not seem to remove potentially unsafe drivers from city streets. If you have been injured in a bus accident in Miramar or any Florida community and the driver has a record of preventable accidents, pursuing action can obviously cause municipalities to consider important safety changes. Pursuing justice in these cases can also help victims get compensation for lost income, medical expenses, and other costs related to their injuries. In this latest case, it was a lawsuit that raised questions about drivers with accident records. 1) Get immediate medical help for you and anyone else who is injured. If anyone appears to be injured, it is safest to call for emergency medical help. However, even if you are not sure that you are injured you will want to visit a medical expert soon after the accident. Keep in mind that some serious injuries – including soft tissue injuries and potentially life-threatening Miami Lakes head injuries – may not present symptoms right away. Get a professional medical opinion to assess any possible injuries. Keep copies of any medical records and test results so that you can prove your injury. 2) Contact police to file a report if the accident is severe. File a police report and be sure to keep a copy. 3) Take photos of your injuries and the accident if you can. Photos can be important evidence when your attorney needs to investigate the case. 4) Get the contact information for witnesses and anyone involved in the accident, as well as information about the bus and bus driver. Document as much as you can, and write down all you can, including the location of the accident, any details about the accident, and anything else you can think of. Be sure to get the bus driver’s license numbers and bus license numbers if you can, as well. 5) Contact your insurance provider if your car has collided with the bus. If you are injured as a passenger on the bus, the insurance company for the bus may contact you with an offer or you can pursue compensation by working with a Miami Lakes accidental injury attorney. 6) Do not sign anything or say anything more at the scene until you get legal advice. A small comment you make could end up affecting your claim later on and signing something could mean that you sign away your rights to fair compensation. 7) Contact a Miami Lakes personal injury attorney with experience in bus accident cases. As soon as possible after the accident, contact an experienced attorney. An attorney can investigate the accident, help you determine your options, review insurance company offers, negotiate with insurance companies, and pursue fair compensation on your behalf. At the very least, even if you decide not to pursue a legal claim, you will want legal advice about any insurance offers that are made. 1) Teach your child the basics of school bus safety. Children are much safer on a bus than being ferried by car, since bus accidents are rarer than North Miami traffic accidents involving cars. However, you can make the morning commute safer by reviewing bus safety with your child. Teach your child to listen to and obey the bus driver and ensure that your child knows not to cause a distraction on the bus in any way. Teach your child to carefully disembark and board the bus, looking both ways before crossing any streets and staying within view of the bus driver. 2) Be cautious when getting on or exiting buses. Bus accidents are common when passengers are boarding or disembarking and North Miami Beach pedestrian accidents are also a common problem when passengers hop on or off a bus. To avoid a collision, wait for buses in safe areas designated for passengers. Avoid approaching or standing behind a bus, where the driver cannot see you. Board carefully, to avoid tripping and falling. When disembarking, move away from the bus and walk around the front of the bus if you need to cross the street. 3) Support legislation which promotes bus safety. Changes to laws happen all the time to make buses safer. Most recently, the Federal Motor Carrier Safety Administration announced changes to policies affecting bus companies violating safety rules. Since 1990, bus companies have had 45 days to prove that they have fixed safety violations and companies have been able to apply for a ten day extension after that 45 day period. Now, bus companies will no longer be able to apply for an extension. Roadside inspections of buses also doubled between 2005 and 2010 to help catch safety violations. When you read about bus laws that you support or would like to see changed, contact your elected representative to express your views. 4) If you are chartering a bus or going on a bus tour, do a little research about the bus operator. Responsible bus companies work hard to prevent North Miami Beach traffic accidents and are happy to share their efforts with you. Check safety records, any past safety violations and policies for hiring and training drivers. Refuse to give money to companies which do not take safety seriously. 1) By reducing the number of cars on the road. According to the National Highway Traffic Safety Administration (NHTSA), school buses nationwide keep about 17.3 million cars away from school areas every morning. Each school bus removes about 36 cars from a school area. This is significant, since early-morning traffic congestion around the school zone can increase the risk of Hialeah pedestrian accidents and other traffic accidents. Nationwide, school buses also save 2.3 billion gallons of fuel, 6 billion dollars, and 44.6 billion pounds of CO2. This helps build a stronger economy and safer air for everyone. 2) School buses are designed to be safer. According to the NHTSA, school buses are designed to prevent injuries and prevent crashes. School buses have many safety features, including flashing lights, cross-view mirrors, reinforced sides, stop sign arms, high visibility colors, and special crush standards. In addition, school bus drivers are specially screened and trained as well as subject to random testing to ensure that they are safe drivers. All these safety factors make the average school bus far safer than the average passenger vehicle driven by an adult. School bus drivers are specially trained to be very safe drivers and the vehicles themselves are designed to be safer. In the unlikely event that your child is involved in a school bus accident, the special design of the school bus can help reduce the risk of serious Hialeah burn injuries, broken bones, head injuries, and other common injuries which can occur with any Hialeah traffic accident. 3) School buses have lower fatality rates in accidents. According to the NHSTA, student fatalities involving a car crash with a teen driver are 58%, compared with 23% in crashes involving adult drivers, while only 1% of student fatalities during school travel hours involve school buses. Statistics show repeatedly that far fewer students are injured while riding a school bus compared with getting a drive in a passenger car. While school buses are not without risks and while much has been written about adding safety belts to make school buses safer, the reality is that this is the safest mode of transportation available to most students. A new research study by The Center for National Truck and Bus Statistics at the University of Michigan Transportation Research Institute (UMTRI) of fatal bus accidents across the country found that school bus drivers have the best safety record of all bus drivers but there are more deaths linked to school bus accidents. This may be due in part to the fact that there are more school buses on the road than other types of buses. Researchers compared charter buses, school buses, transit buses, intercity buses and other buses as part of their study. School buses accounted for more than 39% of the total number of buses. According to researchers, the number of fatal school bus accidents rose 7.5% between 2007 and 2008. About 40% of all fatal bus accidents involved school buses. As well, researchers found that about half of all fatal bus accidents took place in two time periods – between 2:00-4:59pm and between 6:00-8:59pm – as these were the hours in which school buses were most busy. Transit buses across the country were involved in 86 fatal accidents in the time frame of the study. Intercity buses were a factor in nine fatal bus accidents and charter buses were involved in 27 fatal bus accidents in the same time period. About 41 “other” buses were involved in accidents during this time period and 10 “unknown” types of buses were involved in fatal crashes during this same time. According to researchers and the Center for National Truck and Bus Statistics at (UMTRI), a large part of the reason why school bus accident rates are so high is simply because there are more school buses on the nation’s roads. In 2009, there were 480,000 school buses on the roads and these school buses made 10 billion trips, for example, while transit buses made over 5.4 million passenger trips. As well, researchers at the UMTRI found that in half of fatal school bus accidents, the bus drivers were not at fault. In the study, 25 of the fatal school bus accidents occurred when a vehicle struck the school bus head-on. About 11 of the accidents occurred when a vehicle rear-ended the school bus and in nine of the accidents a vehicle swiped the school bus. One unfortunate statistic is that fatal Florida bus accidents involving school buses were most common. Of all the states, Florida had the most such accidents, with 14 occurring in the state. Georgia, New York, California, Texas, Illinois, and Ohio had between six and nine fatal school bus accidents. Other states had less than five fatal school bus accidents the same year. The NHTSA FARS shows that for the 2007-2008 school year, 21 fatal pedestrian accidents and seven fatal bicycle accidents occurred due to school bus collisions. However, the study by UMTRI researchers found that school bus drivers were safer, ob average, than other bus drivers. 91 of the 120 school bus drivers involved in fatal bus accidents had no previous accidents while 15 of the drivers had only one prior accidents. According to researchers, this presents the best pre-accident record of all bus drivers. Small businesses and individuals are increasingly relying on discount buses and coach buses for transportation. With rising fuel prices, these buses are used to conduct tours and are used to shuttle groups of athletes, students, and even employees from place to place. In Florida, coach buses are extremely common, used by tourism businesses and tour operators. Unfortunately, the prevalent use of these buses in Florida can mean more Florida bus accidents. It is completely legal in Florida for coach buses to not have seat belts available. Part of the problem is a 2002 study by the National Highway Traffic Safety Administration (NHTSA). The study found that seat belts on such vehicles do not seem to have any benefit in reducing injuries in frontal collisions. The study further concluded that for young passengers lap seat belts on coach buses and school buses can increase the risk of serious abdominal and neck injuries. The NHTSA study further found that the type of belts used in cars – known as lap-shoulder belts – when used correctly in buses can slightly lower the risk of neck injuries and head injuries. However, the study concluded that spacing cushioned seats close together worked as well as seatbelts in protecting passengers. However, the same study also concluded that in the event of a bus rollover, seat belt use could reduce the risk of fatality by 77%. The NHTSA study and others like it point to a major problem with seat belts on buses: there is a lot of contradictory information available about the effectiveness of seatbelts in preventing bus accident injuries. While the benefits of seat belts in passenger cars have been well established and widely accepted, the same is not true when it comes to seat belt use in buses. Some experts claim that seat belts would pose an additional distraction for school bus drivers because drivers would need to enforce seat belt use among students rather than keeping eyes on the road. As well, they note that seat belt use would mean fewer seats per bus and therefore more buses on the road, which might also increase the risk of Florida bus accidents. Many experts also note that the costs of seat belt implementation would outweigh the benefits, especially since bus accidents are rare and buses are considered far safer than passenger vehicles. According to the American Bus Association, the fatality rate for cars in 2007 was 1.04 per 100 million miles, compared with 0.5 per 100 million miles for coach buses. Despite these assurances, however, there have been a number of high-profile bus crashes in the past decade, causing new laws to be passed. Federal laws, for example, require that school buses of less than 10 000 pounds make seat belts available, since these buses are more likely to result in students being ejected from their seats in an accident. 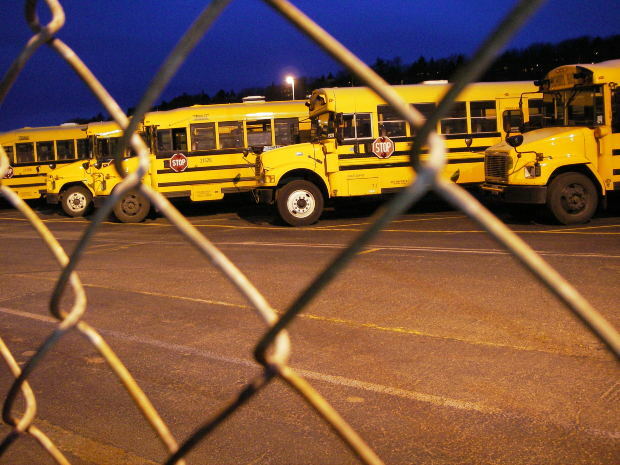 As well, Florida and five other states require school buses to have some form of restraint. Currently, however, there are no similar rules for coach buses. A bill known as the Motorcoach Enhanced Safety Act would change that by mandating ejection-proof windows, seat belts, and rollover-proof roofs. Another rule has been proposed which would make it mandatory for all new coach buses to have seat belts. A 2007 study published in the American Journal of Epidemiology revealed that bus accidents are far more rare than most other types of accidents. According to the study, the annualized injury rates for motorcycles was 10, 336. For bicycles it was 1,461 and for cars it was 803. The annualized injury rates for walking was 216 and for buses it was 161. The conclusion the researchers reached was that those riding a bus are far less likely to be killed than motorists, cyclists, or pedestrians. There are many possible reasons for this. The sheer size of a bus protects passengers inside of it in a collision, especially if that collision is with a smaller vehicle, such as a passenger vehicle. As well, the size of the bus may distribute the force of a crash differently than a smaller vehicle, protecting passengers. As well, buses tend to travel more slowly, which can contribute to the fact that Florida bus accidents are rarer than Florida car accidents and other traffic accidents. According to the 2007 study, the fatality rates for different vehicles also vary widely. For motorcycles, the fatality rate is 537, while for bicycles it is 21 and for pedestrians it is 14. For a car, fatality rates are 9 and for a bus only 0.4, according to researchers. The researchers further found that there are differences in fatalities and injuries by age. For example, for children under the age of 4, virtually all traffic-related injuries occur while walking or in a car. This may be because parents are less likely to take their children aboard public transportation. However, it can also be because buses are a safer way to travel overall, resulting in fewer injuries. Another factor that can affect bus accident rates may also be the risk factors associated with other types of vehicles and modes of transport. Most modes of transportation have serious vulnerabilities. Florida pedestrian accidents, for example, often lead to serious injuries and fatalities because pedestrians are virtually unprotected in an accident – their bodies bear the direct brunt force of a large vehicle. Bicyclists and motorcyclists similarly have little protection when compared with bus passengers. Car drivers, on the other hand, can easily take risks which can lead to an accident while bus drivers are carefully trained and monitored to avoid such risks. While bus accidents are rare, they can occur. During the holiday season, it is important to exercise extra caution. Buses may be more crowded with holiday shoppers and steps may get slippery as the holiday weather arrives. It is important to travel wearing sturdy shoes and comfortable clothes. Where possible, sit down in a bus or grip a bar or overhead bar in order to secure your position. Wait until the bus comes to a complete stop before walking towards an exit. 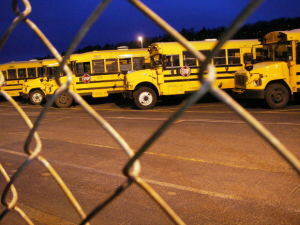 Florida bus accidents are tragic, but school bus accidents tend to be even more frightening for parents and children. Each year, many Florida injuries to minors and children take place on school buses. About 25 million students nationwide take a school bus to school in the morning, and school bus accidents injure about 11 000 people and kill about 134 people nationwide each year. According to the National Highway Traffic Safety Administration’s Fatality Analysis Reporting System (FARS), between 2000 and 2005, 19% of school bus accidents were in fact pedestrian accidents in which pedestrians were killed. In about 4% of cases, school bus drivers were the victims of these pedestrian school bus accidents and in about 5% of cases, school bus passengers were the victims. In about 70% of school bus accidents, fatalities occurred to occupants of other vehicles (rather than the school bus itself).